Police said they are responding to an increasing number of reports of theft from vehicles in the area recently. Police have warned families in Fulwood that they are are currently seeing a trend of theft from vehicles in the Longsands Lane and Watling Street Road area and also around ASDA in Fulwood. Officers have identified two hotspots for the worrying trend and urged families to remain vigilant and take measures to protect their homes. According to police, thieves appear to be targeting vehicles along Longsands Lane and Watling Street Road, as well as the area around the Asda superstore. A police spokesman said: "We are currently seeing a trend of 'theft from vehicle' related crimes in the Fulwood area of Preston. 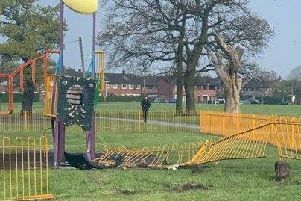 "In particular this seems to concentrate around the Longsands and Watling Street Road area and also around the area of ASDA in Fulwood. "Please remain vigilant at this time and report anything suspicious via 101 or 999 in case of an offender on scene/emergency. "Please remember to lock and secure your vehicles after use and remember not to store anything of value that could be of interest to potential offenders." We all want our homes to be safe and by taking just a few simple steps you can reduce the risk of becoming a victim of burglary. According to Lancashire Police, homes with no security measures in place are far more likely to be targeted, so what are you waiting for? - Close and lock your doors and windows when you go out, even if you are just in the garden. - Fit an intruder alarm in a visible place and test it frequently. - Leave a radio or light on timer and draw the curtains when you go out at night to make your property look occupied. - Remember to cancel deliveries before you go on holiday. - Keep an eye on your neighbour’s property and encourage them to do the same for you. Report anything suspicious to the police. - Keep ladders and tools stored away; do not leave them outside where they could be used to break into your home. - Mark your property with your postcode and house number and register your property for free, online with Immobilise. - Store any high value items (i.e. jewellery, passports) in a secure place or safe. - Buy home insurance. It’s cheaper than paying out to replace any stolen possessions. Remember: if you don’t lock your house, your insurance may not cover you. - Consider joining or forming a Neighbourhood Watch scheme and sign up to Lancashire Police's local messaging scheme In the Know.